•Packaging : 25 kgs, 50 kgs, or Bulk in container. 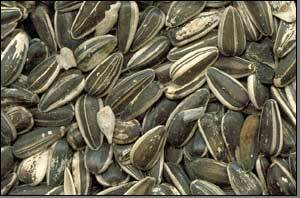 Sunflower seeds are available in Egypt in two types one striped and the other is white. They are produced in the summer and most of it is consumed domestically. Egyptian white sorghum is one of the bird food crops that is cultivated in upper Egypt with innumerous quantity and it is consumed domestically and exported to different countries such as Belgium, UK, Portugal , and gulf coutries.